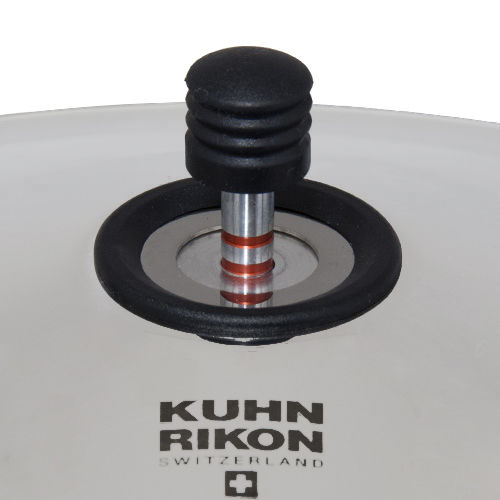 Part of the Kuhn Rikon Pressure Cookers range. 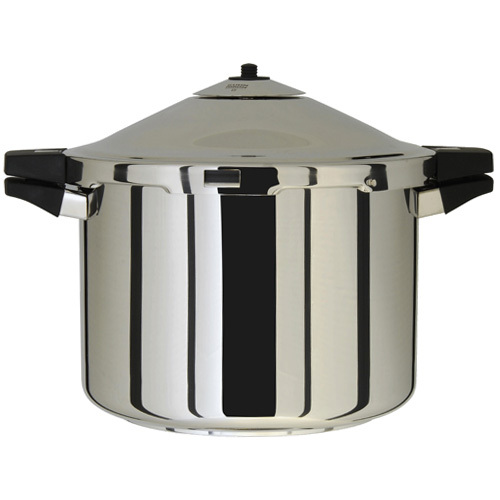 The 12 litre 30333 Duromatic Hotel is a first class pressure cooker; Not only does food retain its full flavour and colour but its vitamin content is preserved too. Time and energy saving of up to 60%. 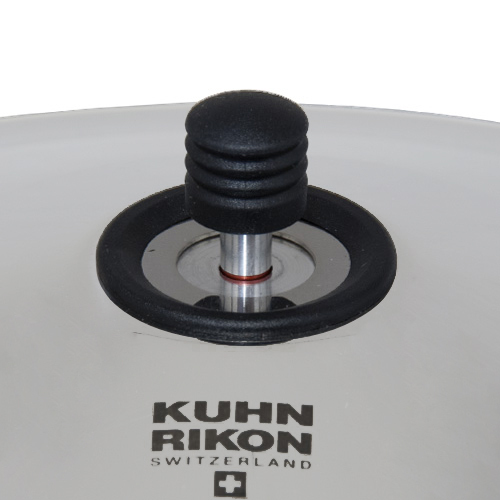 For all types of hob including induction hobs. Products that are very easy to service and care for. 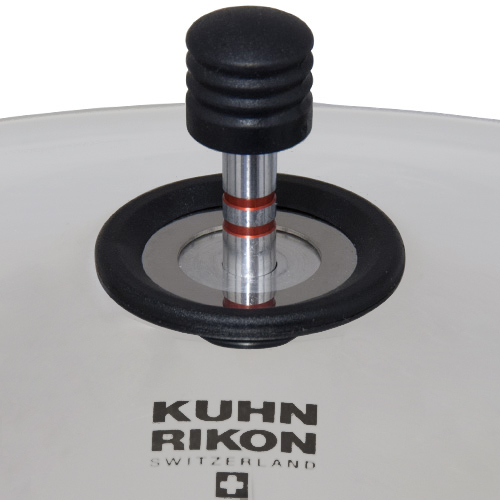 Kuhn Rikon guarantees its cookware for ten years against faulty materials and poor workmanship. Titanium coating 3 years (proof of purchase required). Excludes wearing parts such as fittings and rubber seals ect. This warranty does not include damage due to overheating soiling scratches and discolouration. It generally takes (depending on water volume) about 5-7 minutes on high hob temperature to reach stage 1. If stage 1 is to be maintained, reduce heat to a bare minimum straight away. Only boost temperature if upper red line falls below steam shield. If stage 2 is to be maintained, reduce heat to a low hob temperature straight away. Only boost temperature if lower red line falls below steam shield. Remove pressure cooker from hob if necessary.